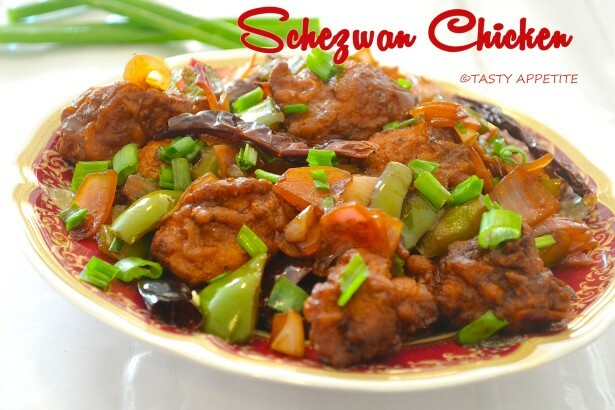 Here goes the quick and easy recipe for Schezwan Chilly Chicken that’s done in just 30 minutes. 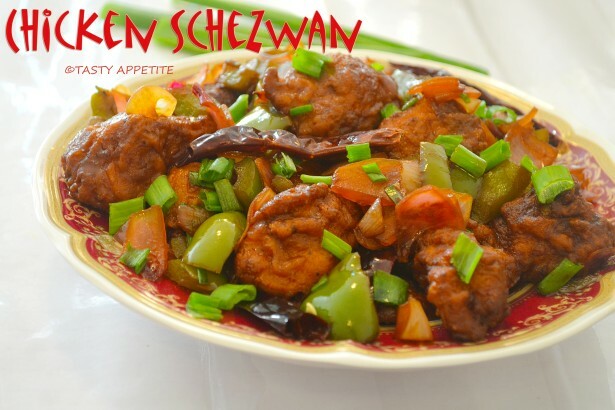 In this recipe the soya sauce, ketchup and red chilly based gravy adds a lipsmacking delicious smooth glaze to well marinated and fried chicken. Warning: These are super-addictive and spicy hot. 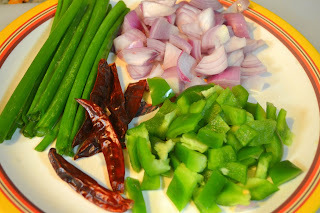 If you want it less spicy - reduce the red chillies. 1. Wash and chop boneless chicken to bite sized pieces. Chop onion, capsicum to fine cubes. 2. 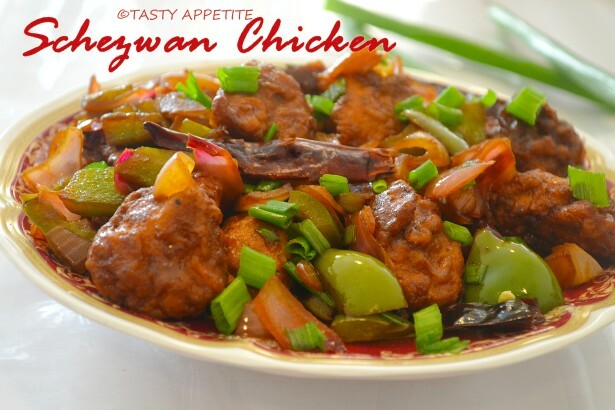 Take the chicken in a mixing bowl, add soya sauce, pepper pwd, ginger garlic paste, red chilly paste, salt and egg. 4. Add maida flour and corn flour. 5. 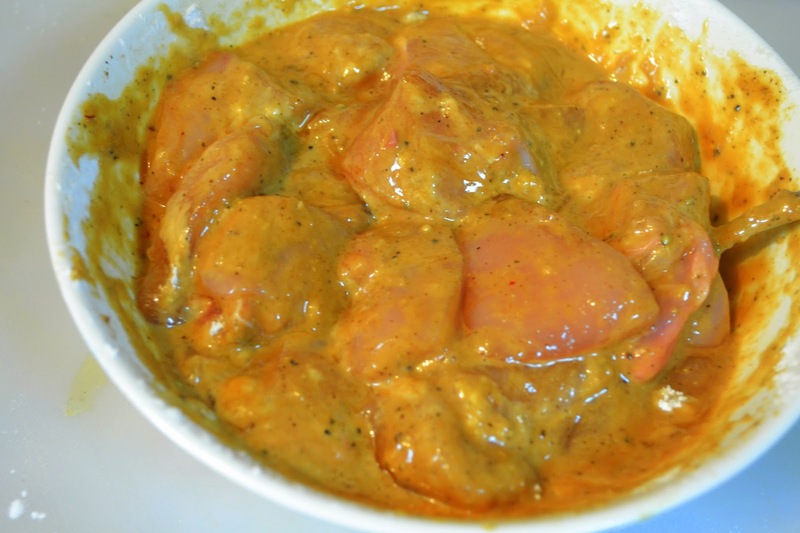 Mix and allow the chicken to marinate for 1 hour. 7. Deep fry the chicken pieces to both the sides to golden brown and crisp. 8. Drain in a kitchen tissue. 9. Take a non-stick pan. 10. Add oil to it and heat. 11. Add red chilly and saute. 12. Add cubed onion and capsicum slices. 13. Add tomato puree and sliced green chilly. 14. Add salt, tomato ketchup and soy sauce. 15. Stir in vinegar and mix. 16. Keep the flame in high and stir well. 17. 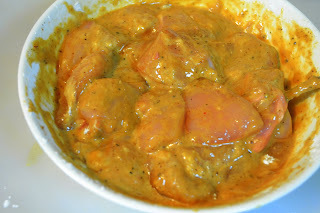 Once the gravy thickens, add the fried chicken pieces. 18. Saute well until the chicken is completely covered with the gravy. 20. Add finely chopped spring onions. 21. Transfer to serving plate. 22. Garnish with freshly chopped coriander leaves. 23. 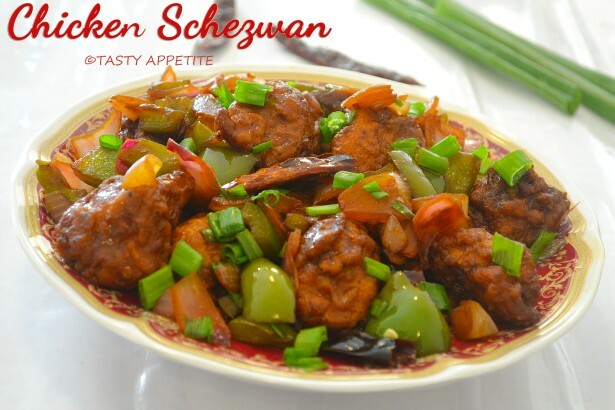 Yummy delicious Schezwan Chilly Chicken is ready. 24. 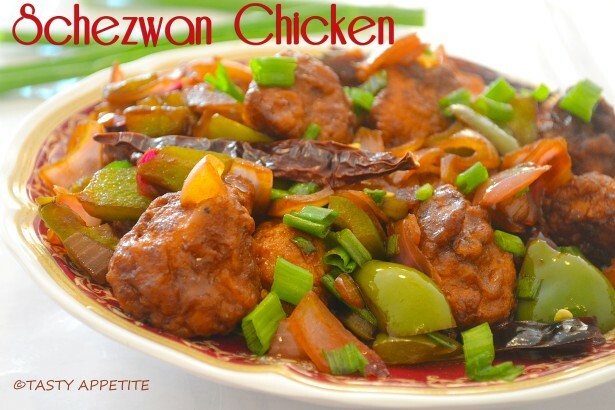 It pairs up excellent with fried rice & noodles.